A new Sekiro: Shadows Die Twice trailer gives a gameplay overview of FromSoftware’s upcoming game, which will come out on the PC, PS4, and Xbox One on March 22nd. The trailer goes over the story premise, how the protagonist’s prosthetic arm works, the combat and stealth mechanics, the progression system, and more. 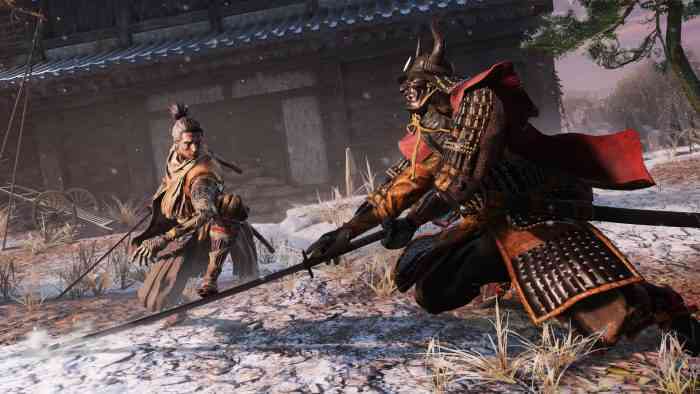 If you’d like to learn some more about Sekiro: Shadows Die Twice then check out this hands-on feature article we published about the game’s most exciting aspects. What do you think of this trailer? Are you planning on getting this game or does it not interest you? Let us know your thoughts in the comments section below.